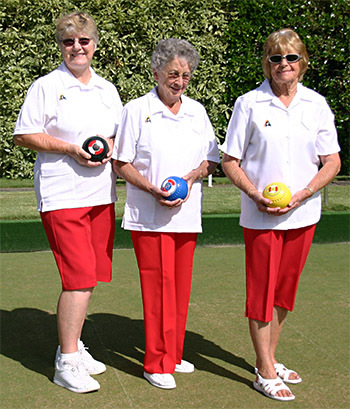 Domino Bowlswear your one-stop-shop for lawn bowls clothing. 31 different slacks, pedal pushers and shorts in 5 different fabrics, in 2 different fits. 22 different shirts in 5 different fabrics, button or zip placard, long sleeve and short sleeve available. Something to suit all tastes, shapes, sizes and budgets. Our size range goes from 6-30 and beyond by special order. By special request from Bowls Australia we have manufactured mens garments for state players up to 7XL!! When no one else can, domino can! As coloured slacks become popular in all states we have started to manufacture these in 42 different colours for ladies and men, with jackets and vests to match. To top this all off we hold such huge stocks that we are able to despatch the same day as the order is placed on most garments (club colours and special orders excepted). Keep checking our site as we are constantly adding to our range. Ask us about our indent custom caps and embroidery program. Save money and get a cap to your own specifications, multiple embroideries can be put on your cap quite cheaply, create your own unique caps with maximum branding opportunity. Minimums start from as low as 144 caps! Please allow 6-10 weeks for delivery.